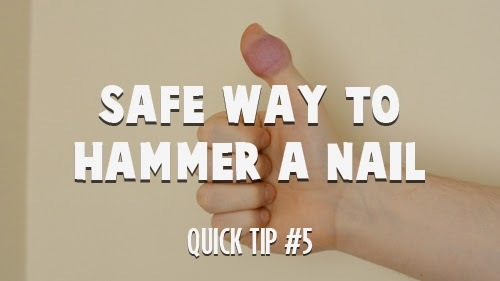 Avoid injuring yourself when hammering small nails with this life hack. Hammering small nails can be tricky and sometimes leads to injury. So take a normal clothes peg and use it to hold the nail instead. The nail can be hammered as usual and you’ll be injury free.